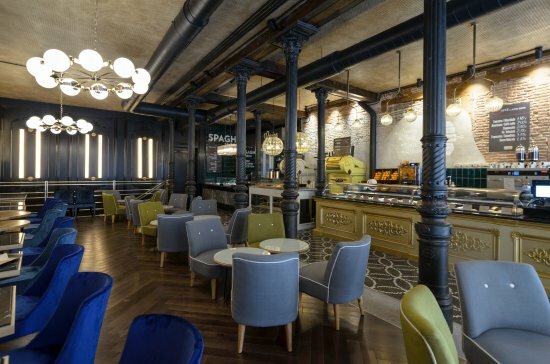 La Focaccella, an Italian restaurant right in the heart of Madrid, was one of the projects we undertook in 2016. We were commissioned to design the lighting of the project, and we worked to create through it a warm and pleasant atmosphere with our vintage style lamps. 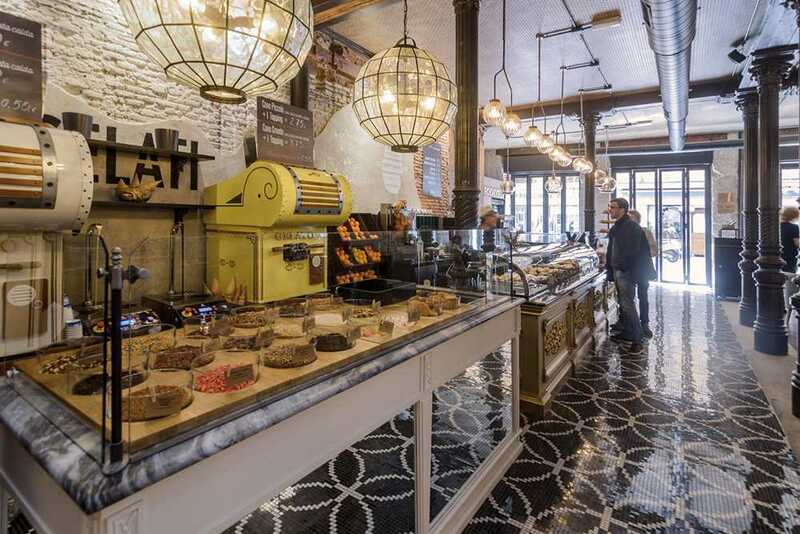 La Focaccella is a new gastronomic space located in the number 42 of Calle Preciados. This restaurant offers a wide range of fresh products in a cosy atmosphere. With more than 200 square meters and a capacity for almost 100 guests, La Focaccela is an exclusive space thanks to its distinctive inner space. 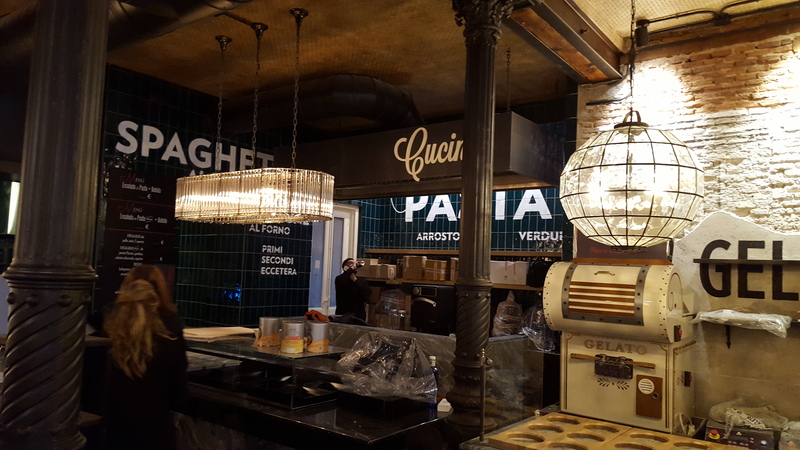 For this restaurant, we designed and manufactured different types of lamps, using materials such as glass or iron with finishing touches in aged-brass. 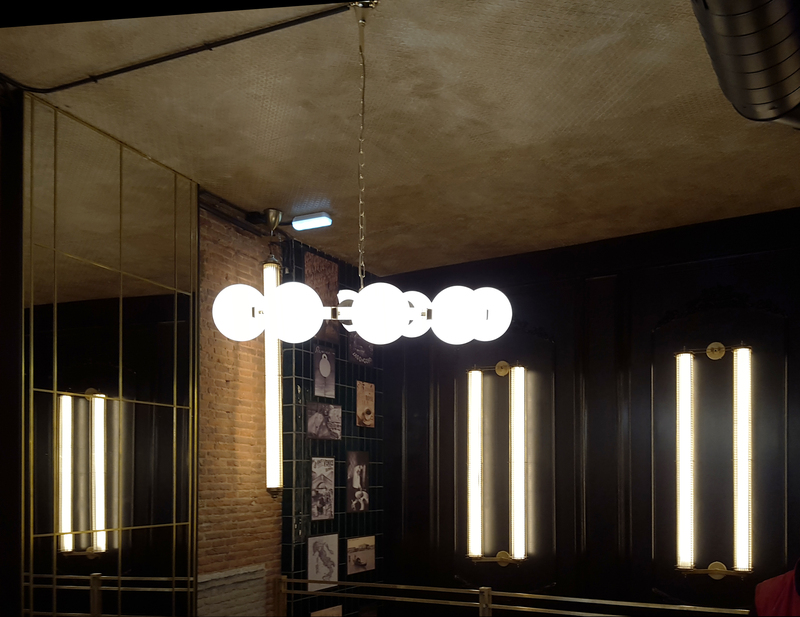 The design of the lighting include products such as hanging lamps with 10 crystal balls, installed in the centre of the dining hall, or hanging lamps with 1 meter crystal tubes, mounted on the walls. Over the buffets, we placed a 2 meters long lamp, with a lampshade made of crystal cylinders, and hanging lamps with two crystal balls. In the patio, we can find some unshaded light bulb dangling from the ceiling.